Collaboration, or the act of working together, is universal across business types and industries – education, healthcare, real estate, government or any other. However, each industry has its own specific language for referring to things, and puts different emphasis on different collaborative processes. The purpose of this series is to use a simple visual format to describe how cloud collaboration technology could be useful in your industry. 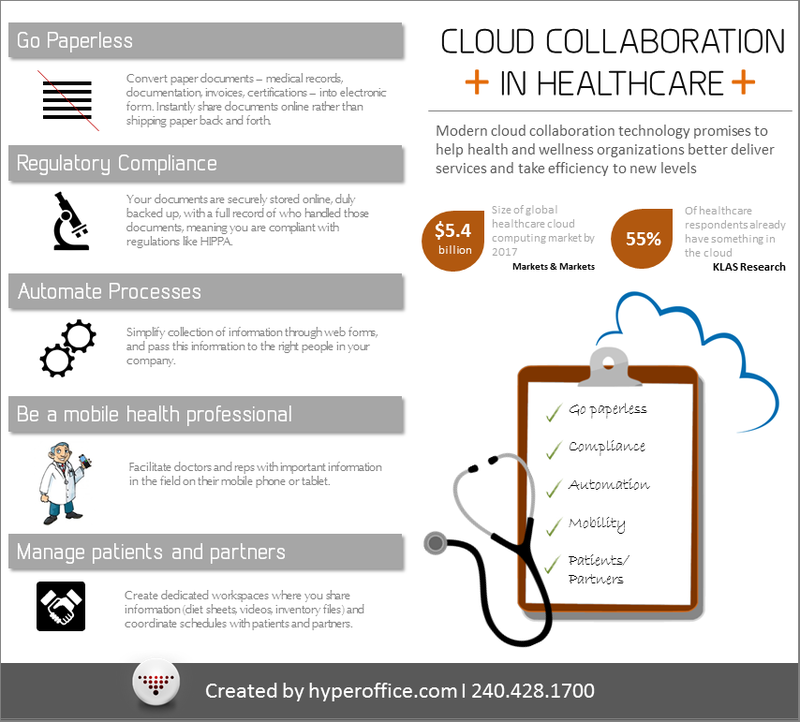 The first infograph is about cloud collaboration software in the healthcare and wellness industry – hospitals, doctors offices, laboratories, health related back-office firms, pharma companies and hundreds of other organizations. 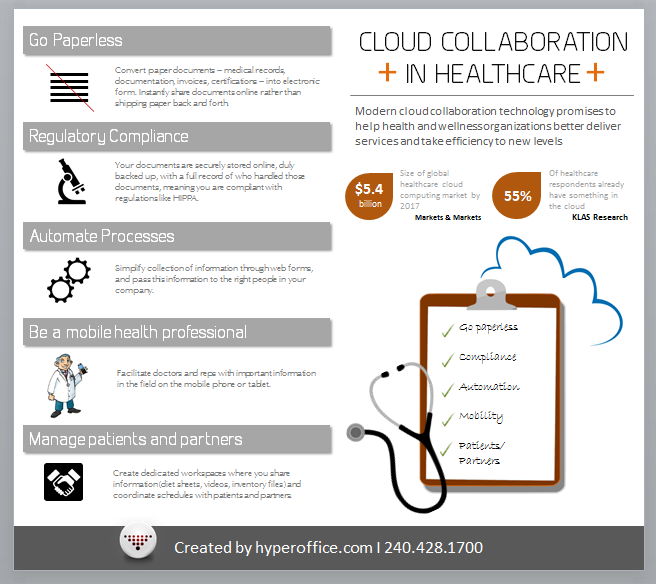 You may check the following page for HyperOffice cloud collaboration offerings for healthcare. An MBA by qualification, Pankaj Taneja has more than six years of experience in the SaaS and web collaboration industries. Having seen SaaS grow from a niche sector to the next big thing in enterprise technology, he has a great enthusiasm and passion for the sphere. Pankaj has been working for many years at HyperOffice, one of the earliest players in web collaboration since 1998, an industry which now includes solutions from Google, Microsoft, IBM, Cisco, Oracle, Adobe and more. It is amazing being part of a pioneer in collaboration, riding a wave which only promises to grow.